Are You Debony Salon’s Next Apprentice?! We’re always expanding and looking for new ways and new stylists to provide excellent salon services. We pride ourselves on growth through education, and our close relationship with our customers and community. The State of New Hampshire recognizes Debony Salon as an apprenticing salon, with the valuable privilege of being able to train individuals in-salon to become licensed cosmetologists. Tarmey Ross, is now seeking an apprentice to work under her! You must be a self-motivated people person with an eye and a passion for all things hair, makeup, and fashion! Debony Salon is a fun work environment with a dynamic ownership/management team! There are five current and past apprentices working at the salon now and each have shared a piece of their story as to how they came to the program. If you feel like you would be a great fit for this program and with the Debony team, or know someone who is interested in becoming a licensed cosmetologist, contact us at info@debonysalon.com! Working at the salon for the past thirteen years, Sara is Debony’s original apprentice. She has now grown to be a Master Stylist. I chose to do an apprenticeship at Debony as a single mom. I always loved doing hair and working with people, and felt Cosmetology would be a great fit for me. I had tried to go to school, but with being a single parent, it was a schedule that I could not keep up with. A friend of mine introduced me to Debony, with the idea of an apprenticeship in mind. We met and clicked, and I began the program. The hands-on experience of the program was great. 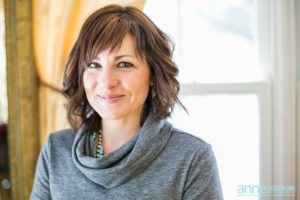 While I was learning, I was also building my clientele at the same time, and it provided the opportunity for me to gain an education and earn money while doing it, which was crucial as a single mom. I was lucky that I had my family close to help me with my son and had so much encouragement from everyone. An apprenticeship at Debony Salon was the best way for me to be a parent and start a career at the same time. 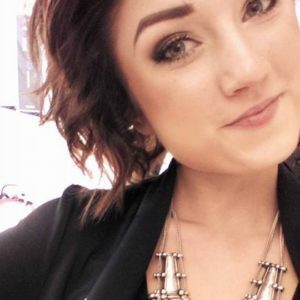 Working at Debony Salon the past five years, Cassie is now the Esthetician and a Junior Stylist. I’ve been working as an Esthetician or 15 years. I had built a solid clientele and many of them would ask for services after their facials that I wasn’t licensed to perform; such as shampoo/blow-outs or manicures. I wanted to be able to give my clients a complete salon experience and a gap in my licensing seemed like such a silly road-block. But going to Cosmetology school would require me to leave my clients behind for a year and a half and I didn’t want to risk losing the business that I had worked so hard to build. Taking on the apprenticeship and working under Debony took care of that issue. I was able combine my Esthetic license with my Cosmetology license for a more dynamic salon experience for my clients and continue doing what I love, while enhancing my career. Jaimie Crawford is an Apprentice and has worked at the salon for a year and a half. My background is in Business and Marketing, which I was working in for 5 years. After a certain point I was looking for something different and came to a point where I either had to buckle down and get my MBA to advance in the career I was already in, or take a leap and start something new. During this transitionary time, I took on the front desk position at Debony Salon. I held that position for 8 months and was able to get to know the stylists and their clients. I watched the girls during that time and they all had so much fun with their Cosmetology career, creating their own brand and niche within the MWV and their own perfect clientele that fit their strengths. I enjoyed what everyone brought to the table to create such a unique salon experience. I decided I wanted a piece of that, and became Debony’s current apprentice. I see this program as an amazing compliment to my Business degree and it will allow me to advance in my education and build a really successful future for myself. A cosmetology license offers something different every day, is so creative and has so many options; I could own my own salon someday, travel the country or world as an educator or brand representative or continually add licenses to expand my salon services. 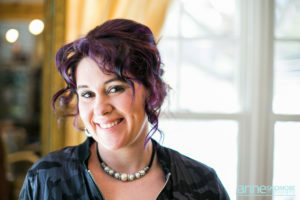 Marissa has worked at the salon for the past four years and is a Senior Stylist. I know myself well enough to know what my learning style is and that traditional Cosmetology school would not have been a good fit for me. Sitting at a desk and working out of a book at school would have been a difficult mode of learning and I loved the fact that this apprenticeship is done in a working salon. It gave me the chance to dive right in and begin a hands-on learning experience. That format really worked for me and I am glad that it was there for me. Another aspect of apprenticing is that it provides the ability to build a clientele while learning. By doing this, I was able to earn my license and immediately have a full book in order to hone my craft with and build my business. Sarah has worked at the salon for 2 1/2 years and is now a Junior Stylist. Sarah started the the Debony Salon Apprenticeship right after high school. 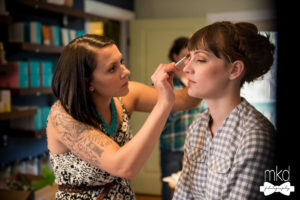 She was drawn to the hands-on learning experience and an opportunity to learn under stylists who had been working behind the chair for years. 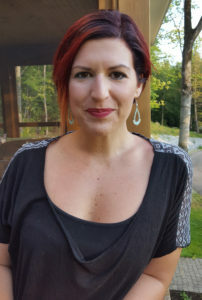 The apprenticeship gave her in-salon experience, building her clientele, as well as the opportunity to travel across New England taking outside education with leaders within the industry. Debony Salon lives through its team values and professionalism and Sarah is excited to grow in the salon.